Located in northern California, Consensus Orthopedics is committed to providing proven and reliable total joint implants and instruments to the global market. Consensus headquarters include administrative offices, research and design workrooms, manufacturing, inspection, clean room and warehouse space. With over 25 years of orthopedic design and manufacturing experience, together, through a focus on patient care and clinician relationships, Consensus is dedicated to creating one team, focused on restoring mobility and renewing lives. Our company name is our identity, our values defined simply. We manufacture the highest quality industry standard medical devices. We want you back on your feet quickly and reliably. The orthopedic industry is constantly evolving and maturing. With multiple patents and a history of product reliability, Consensus is committed to developing industry best practices throughout the organization. We strive to help and improve the lives of patients, medical professionals, and our surrounding communities. Working together is essential in creating high quality medical devices that exceed industry expectations. Ms. Gray has a combined 25 plus years of operations and financial management experience with emerging high growth companies in the data storage and orthopedic industries. 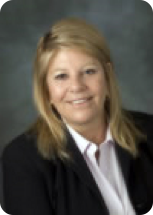 Ms. Gray began her career with Consensus Orthopedics as President and CEO in August, 2004. Before joining Consensus Orthopedics, Ms. Gray was President and Chief Executive Officer at Solid Data Systems where she successfully negotiated and managed the sale of the company. Prior to Solid Data, Ms. Gray was a co-founder of StorageWay, Inc., one of the first cloud-based storage service providers and served as its Vice President of Finance and Chief Financial Officer through July of 2002. Ms. Gray joined Mylex Corporation in 1992 and served as Vice President of Finance and Chief Financial Officer during its successful public offering and IBM’s acquisition of the company in 1999. During her career, Ms. Gray has been involved in pioneering new and innovative technologies in the storage and orthopedic industries. Ms. Gray received a Bachelor’s of Science degree in Accounting from Arizona State University. 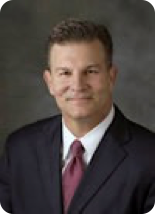 Mr. Wiedenhoefer has been Vice President of Sales and Marketing for Consensus Orthopedics beginning January 2004. Mr. Wiedenhoefer has over 20 years of sales and marketing management experience in the orthopedic industry with Depuy, Smith & Nephew, and Eisenlohr. In 1986, Mr. Wiedenhoefer started his career in outside sales with Smith & Nephew selling orthopedic implants. In 1993, he was recruited by DePuy Orthopedics to manage the sales for one of the largest distribution offices in the United States. While at Depuy, he was selected to sit on the “Trauma Product Advisory Board” consulting on product development projects in the trauma area as well as on competitive products. 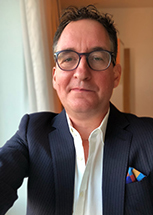 In 1997, Mr. Wiedenhoefer founded Eisenlohr Technologies, Inc. and became CEO and VP of Sales and was involved in developing, manufacturing and selling orthopedic accessory products worldwide, specializing in the image analysis market. Mr. Wiedenhoefer has been awarded three U.S. patents related to the field of orthopedics. Mr. Wiedenhoefer received a Bachelors of Science degree in Business Marketing from California Polytechnic State University in 1986. Mr. Droege joined Consensus in December of 2011. 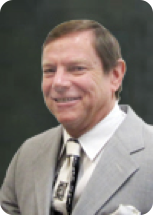 Mr. Droege is responsible for global sales, business, and market development opportunities for Consensus Orthopedics. Mr. Droege has over 15 years of medical device industry experience in marketing and sales. Most recently he was the General Manager/Co-founder of American Surgeons International, Inc. He successfully demonstrated a talent for international relationship building, global product positioning, contract negotiations, and strategic sales planning. Before founding ASI, Mr. Droege was the Vice-President of Sales and Marketing for one of Don Joy Orthopedics and Stryker Spine largest Distributorships. In this role he managed a team of sales representatives and establishing and creating numerous sales infinitives to continuously grow their market share. He also was the Marketing Communications Manager at DJO earlier in his career, directing a marketing team responsible for global corporate branding and product marketing campaigns. Mr. Droege holds a B.A. in Communications from the University of South Carolina. He is a current member of the American College of Healthcare Executives. Paul Rugg joined Consensus Orthopedics in October of 2009 and brings over 30 years of successful supply chain and manufacturing operations management. Over the last 20 years, Paul has been a Fortune 500 executive with companies such as IBM and Electronic Arts, as well as in privately held start up environments. His experience transitioning organizations to the next level of growth has resulted in net savings exceeding $250 million throughout his career. Paul’s insight and global experience in multi-plant management of personnel, material sciences, alternate manufacturing and supply chain strategies provides strategic leadership for the current and future growth of Consensus. Nicholas Tovar joined Consensus Orthopedics in 2018. Nick provides executive leadership through hands-on engineering in the areas of quality and regulatory assurance. He implements six sigma and lean quality systems and directs Consensus to obtain regulatory compliance and to become a world class quality organization. He creates and deploys lean, kaizen, 5s, visual factory, poka-yoke, value stream mapping, and cycle time reduction to optimize quality processes. He deploys “Jikoda” quality for continuous improvement through enhanced performance metrics, statistical process control, six sigma, and supply chain mentoring. Nick mentors all levels of Consensus to create continuous improvement policies, methods and establish performance dashboard metrics and is responsible for ensuring compliance with international, federal and state regulations associated with our class I and class II implants and instruments. This includes directing the product clearances for USA and international markets. Nick has worked as a President and CEO for Quality Assurance Consultants, Inc., Corporate Quality Director for Precision Components Group and Rocklin Precision Machine Inc., Quality Manager for Siemens Corporation, and as a Quality Director for ITI of Kleinfelder Corporation. Earlier in his career, Nick worked as a Senior Quality Engineer, Senior Manufacturing Engineer and Propulsion Engineer for companies like Advanced Medical Development, British Petroleum Advanced Materials Division and Aerojet Propulsion Division. He has over 32 years of senior management and engineering experience in the medical and aerospace industries. Nick has received certifications as a Six Sigma Master Black Belt from QAC, Inc., GMP Auditor sanctioned by AAMI and is a Senior Member of the American Society for Quality with certifications as an Auditor and Quality Manager. 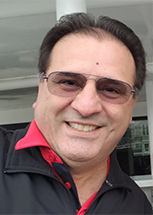 Nick was a certified Provisional and Aerospace Experienced Auditor for QSM International and is a certified Nondestructive Test Instructor for the major disciplines of Nondestructive Testing. Nick has a BSL Logistics/Engineering Management degree from Weber State University, Ogden, Utah and holds a BSME Manufacturing/Mechanical Engineering degree from National University, San Diego, CA. Steve Gage joined Consensus Orthopedics in 2004 and brings 30 years of O.R. and orthopedic sales experience. Mr. Gage began his career as an athletic trainer at the University of San Francisco. He quickly transitioned into the operating room at Mercy Hospital in Sacramento, CA where he spent 11 years. Moving into sales in 1989, he became an orthopedic implant sales representative for Richards and Depuy. He co-founded, with Curt Wiedenhoefer, Eisenlohr Technologies, Inc. in 1997, designing and manufacturing medical imaging systems. Mr. Gage’s clinical history in surgery and orthopedic sales has made him a technical and clinical expert in surgical techniques and clinical protocols. Mr. Gage coordinates training of instrumentation and implant techniques with surgeons and the training of implant systems and operating room credentialing of Consensus Orthopedics’ representatives and distributors.